Whenever we see a number of similar designs appear from different artists, we suspect there’s a class or a workshop happening. I looked into such a case last month and through one of the students, I got in touch with their teacher, Erwan Davisseau from the UQAT in Montreal, Canada. Erwan Davisseau, who is professor of Video Games (what an awesome job title! ), explained to me how he used Sketchfab for his assignments. Erwan has an impressive track record: he worked for 12 years as a 3D video game artist on Alone in the Dark, Enter the Matrix, Splinter Cell, Prince of Persia, Farcry, etc. Hi Erwan, can you please introduce yourself? 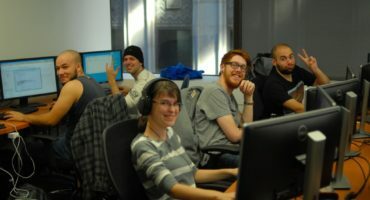 We are a video game university based in Montreal. We are offering a 3 year program and the first thing the students have to learn is how to clean an object for displaying in a 3D engine. As I wanted something that could also feature on their portfolio, I asked them to use Sketchfab (definitely the most user friendly 3D web engine out there). We saw quite a lot of models appear, what was your students’ assignment? The first exercise was to create a 5000 triangles taxi with flat color texture (4 by 4) and an ambient occlusion baked into the vertices (they had to find the way to minimize the use of any texture). The second exercice was the opposite: create a 1500 triangles character using big texture (2048 by 2048) to show the necessary details. How do you collect the work by your students? Are you using anything like tagging for that? I’m just asking for the SketchFab link as what matters is only the final result (+ the texture as I need to see how they managed their UVs). How did your students like working with Sketchfab? Sure, some of them are now using it for their portfolio. How do you judge their work, do they still have to send you the files, or are you using the new Sketchfab Download option? Do you use model comments to communicate with them? Your new feature arrived a bit late. But I will use it for our next sessions. It’s definitely a big plus for me. I encouraged them to use it. But so far, no one did. How do your students react to getting feedback from our community? Did they get any? 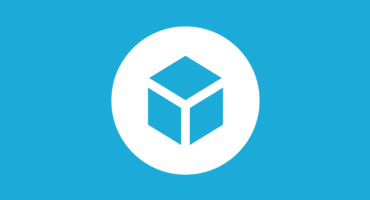 Do you have any other projects coming up where you’ll use Sketchfab? I’m gonna use it from January to April and from September to December each year. I plan to use it a lot. And finally, did you know all students and teachers can get free Sketchfab PRO accounts? Here’s more information on that. Also, on that page we listed some benefits for teachers, do you think they make sense? It all make sense for me. The only feature that would be nice to develop is a way to quickly show/hide the annotation. This way I could make the annotation mandatory without force my students to show them by default (the first impression is always the best!). Then I can activate them to see their own process of creation. That’s a great suggestion, I’ll forward that to our team.